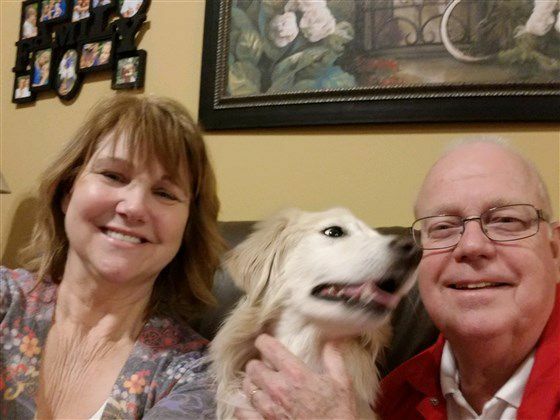 Regan, a four-year-old retriever mix, had suffered a significant loss. 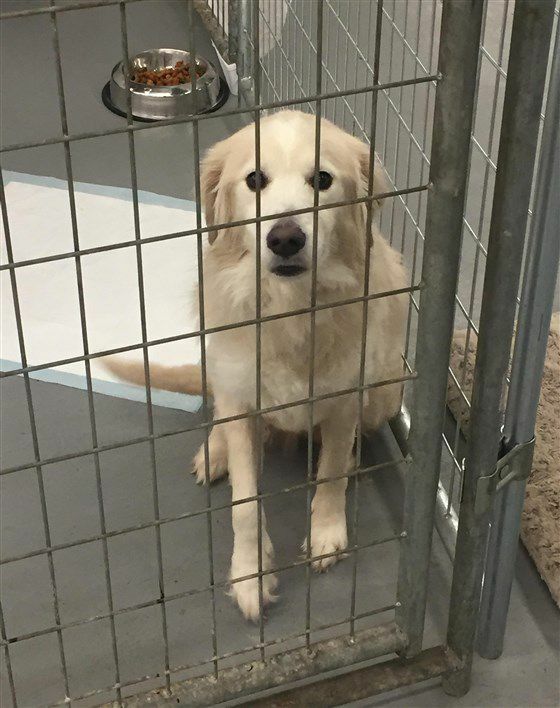 Her owner had suddenly passed away, and the loving dog found herself in a cold, confusing, frightening shelter in Lebanon, Tennessee. Luckily for this dog, the right person was in that shelter at the right time, and she proved to be Regan's saving grace. Kim Mozena Rezac, the founder of Goofy Foot Dog Rescue, was at the shelter working with dogs who had been rescued from dogfighting rings. She saw Regan and came back three days straight until she won the dog's trust. Once she did, Rezac decided to take Regan home to foster her. 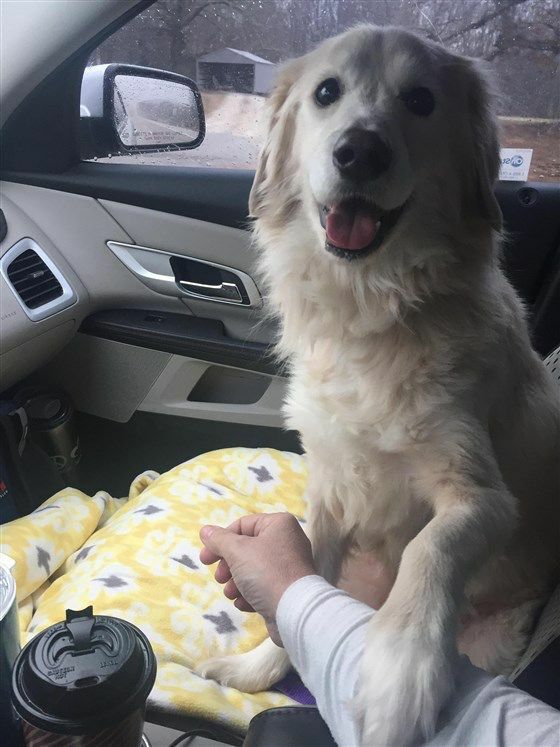 Regan was so happy to be leaving with Rezac that she placed her paw on Rezac's hand for the entire two and a half hour ride home. 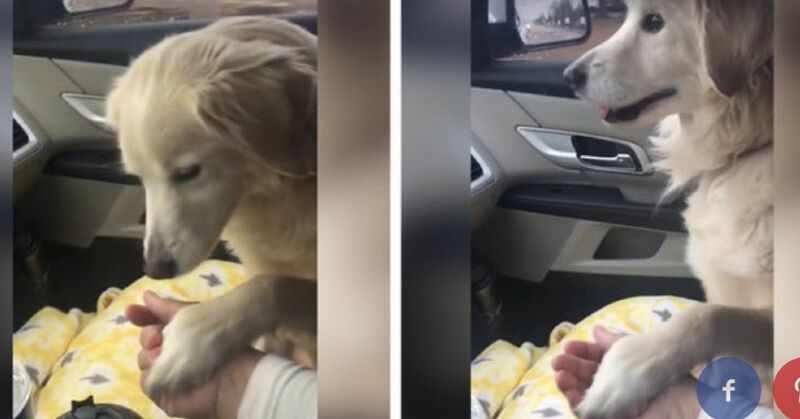 Rezac recorded the dog's reaction and posted it on her Facebook page. It quickly went viral, receiving almost three million views. Rezac and Regan's story was also covered by Today.com. 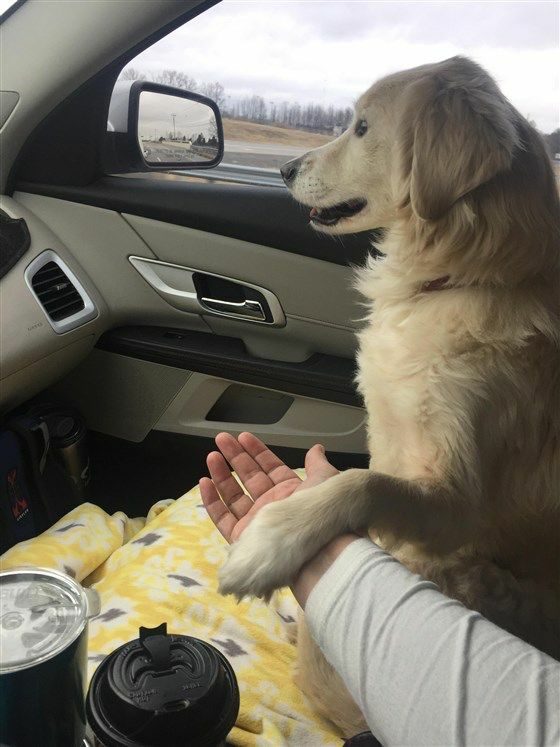 "She wanted to hold my hand the whole way. If I took it away she would paw at it," Rezac explained. "I think she felt secure in touching someone familiar. She was so nervous and scared in the shelter but as soon as she jumped into my car she seemed so grateful." Within two days, Regan was placed in a foster home with a couple who have fallen in love with her. They intend to adopt her and give her a life full of love. Watch Regan's endearing video and then share her story with your family and friends on Facebook.